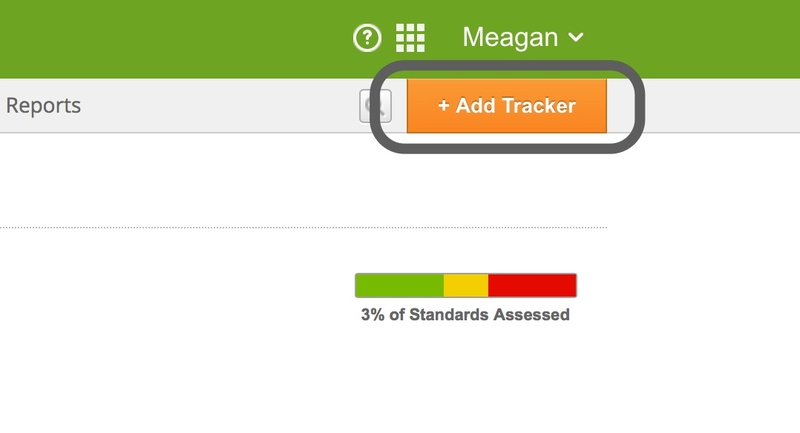 Click on Trackers, then click on Add Tracker. Select the information for your class from the drop-down menus, then enter the class description. To change the color associated with the tracker, click on the Notebook. Select the method you want to use to add students. 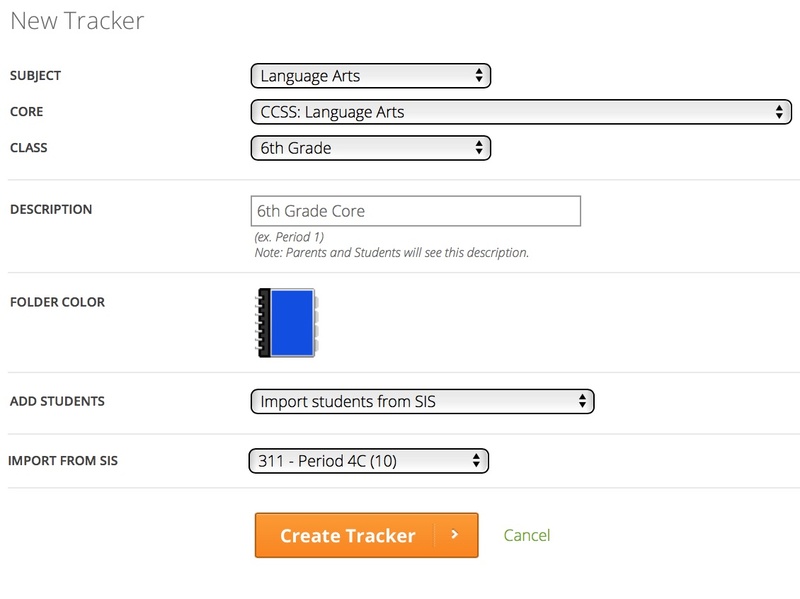 You can choose to add students individually, import from a CSV file, copy from another tracker, or import from an SIS if your district is integrated with MasteryConnect. After you have entered all the information for your tracker, click on Create Tracker.